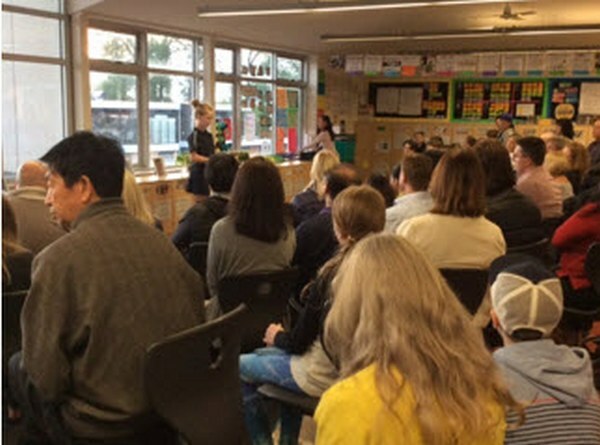 On the 25th of October the year 5s and 6s participated in a speaking and listening night. A lot of preparation went towards running this event from both teachers and students. We were all pushed out of our comfort zones on the night as we had been preparing our pieces on and off for a month. Although the process was daunting, the cohort rose to the challenge and the night ended up being a major highlight of the term. All of the pieces were equally creative and interesting as we had the choice to add creative effects to entice our audience, such as music, sound effects, rapping, singing, dancing, instruments and much more. All of the performances were amazing, including stories and poems connecting to personal experiences in students’ lives. The night also included impressive instrumental performances that certain students worked very hard at putting together. Overall the night was a big success and a great experience for all. We look forward to doing something like this again in the future. We all worked really hard leading up to the night and it was very successful. 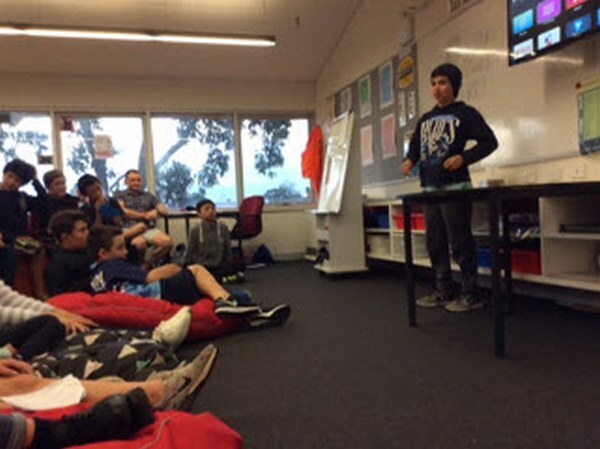 We had to choose an interesting topic for our piece, and go through the process of drafting, editing, double checking, peer assessment and reading it in front of the class for weeks on end. Our blood, sweat and tears were put into this, so that is why we made sure it would be an enjoyable night. 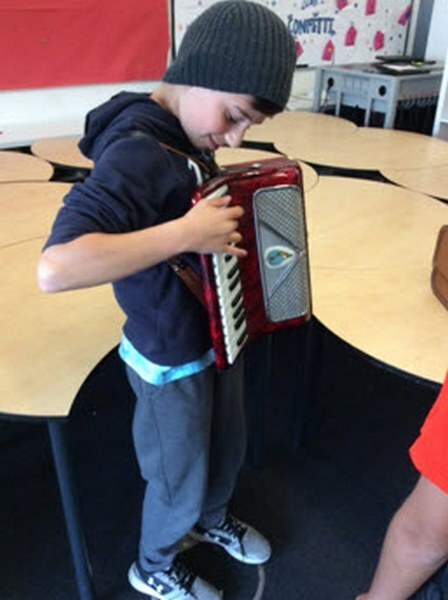 There was also a band of different instruments like the accordion, piano, drums and guitar that played music during intermissions, creating a friendly environment and adding to the atmosphere. All in all it was a great time, our public speaking skills improved a lot and we can confidently say it was a great time! This entry was posted in Students and tagged extra-curricular, Grade 5, Grade 6, literacy, literature, reading, writing by Kate W. Bookmark the permalink.